Three buoys have been removed from Belfast city centre to make way for a new Blitz memorial. 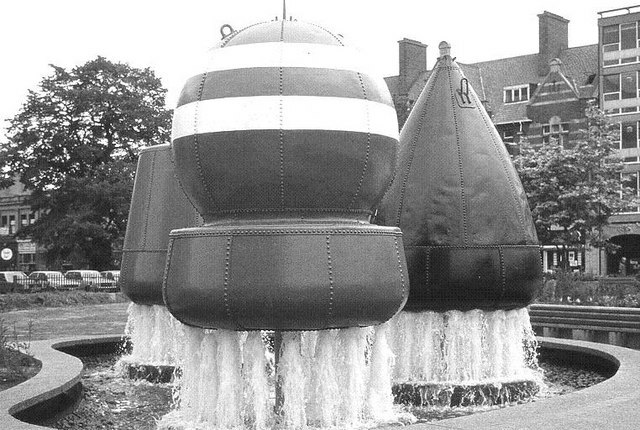 The buoys sat at the centre of Cathedral Gardens, known locally as Buoy Park, beside St Anne’s/Belfast Cathedral for 36 years. They were removed on Monday ahead of the installation of a new memorial to those who lost their lives in the Belfast Blitz. 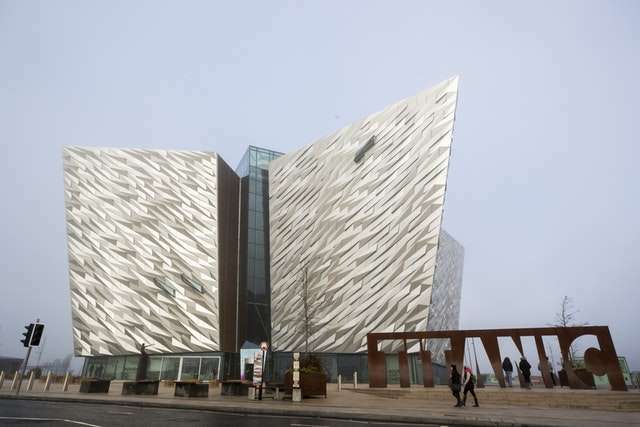 Belfast City Council agreed [in January] to the new memorial to the people who died during a series of Luftwaffe bombing raids in April and May 1941. While the shipyards and factories are believed to have been the targets of the bombers, instead thousands of houses were destroyed and more than 1,000 people were killed. Cathedral Gardens is in one of the areas worst hit by the Nazi bombs, with nearby St Anne’s Cathedral almost destroyed in the blasts. Meanwhile the buoys, which are believed to be more than 50 years old and are of the type used in local waters, are set to go on permanent display at Abercorn Basin in the Titanic Quarter. They were originally presented to the council by the Commissioner for Irish Lights in recognition of the port and maritime tradition of the city, and were used as a feature within a then new scheme for Cathedral Gardens which opened in 1983. A Belfast City Council spokeswoman said the buoys are set to be repainted before being installed at Abercorn Basin in the spring. 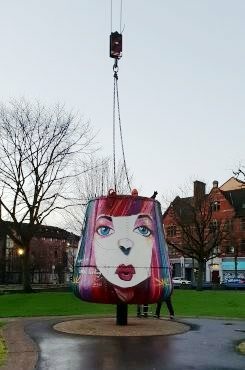 Belfast’s famous buoys are being relocated from Cathedral Gardens to the Titanic Quarter,” she said. “The recent redevelopment of the Ulster University campus, along with the momentum of Department for Communities’ Streets Ahead Project to regenerate this area, prompted plans to relocate the buoys. “The buoys – which celebrate the city’s maritime heritage – will be repainted before taking up residence near Abercorn Basin this spring. “Members of Belfast City Council have agreed plans for a Blitz memorial and Buoy Park has been identified as a suitable location. “Members have agreed that a memorial at this location is considered as an emerging project for council in the coming financial year. 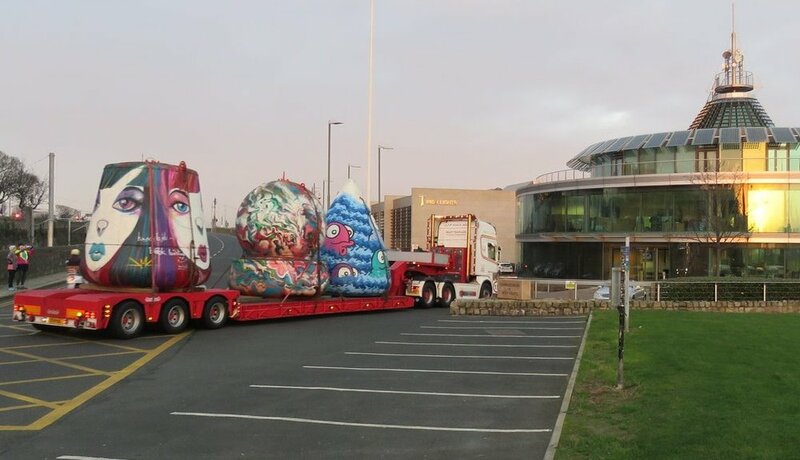 The Buoys have now arrived at their temporary home at the Commissioners for Irish Lights in Dun Laoghaire, where they will be restored and repainted.